The story of the Golden Gate Bridge is a remarkable one, captivating us with its themes of promise, innovation, perseverance, and artistic inspiration. Released on the bridge’s 75th Anniversary, the title of this app, "A Wild Flight of the Imagination," is based on an exhibition of the same name organized by the California Historical Society. 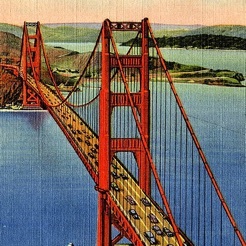 The phrase is borrowed from a 1921 promotional prospectus for the Golden Gate Bridge in which the authors, chief engineer for the bridge Joseph Strauss and San Francisco city engineer M.M. O’Shaughnessy, use inspirational language to set a tone for the enormously ambitious engineering feat. This interactive multimedia app extends the reach of California Historical Society’s exhibition and makes over 350 historic objects, as well as dozens of photographs and other ephemera from the collection available to the reader. 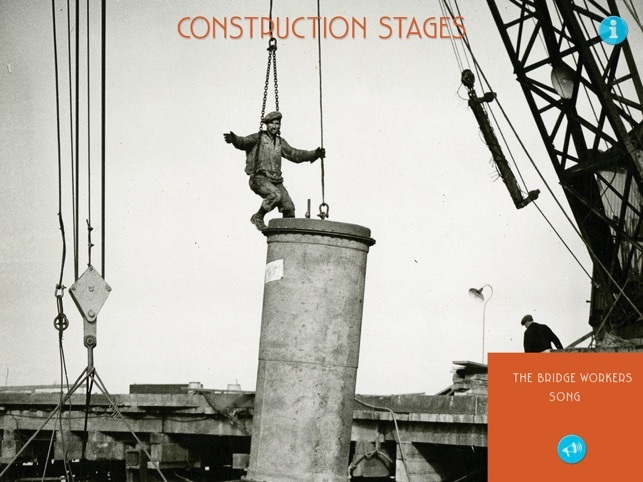 Highlights include photographs by Ansel Adams and Dorothea Lange, paintings by Maynard Dixon, Ray Strong, and Chesley Bonestell, and architectural drawings by the two architects who worked on the bridge design. 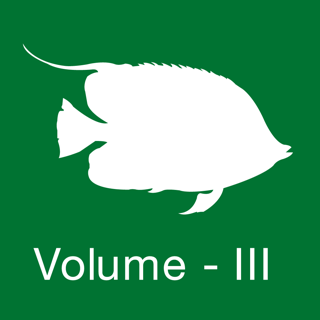 Also included is an opening music selection from composer Rob Kapilow’s “Chrysopylae,” A Golden Gate Opus, written with contributions from sound designer Fred Newman. 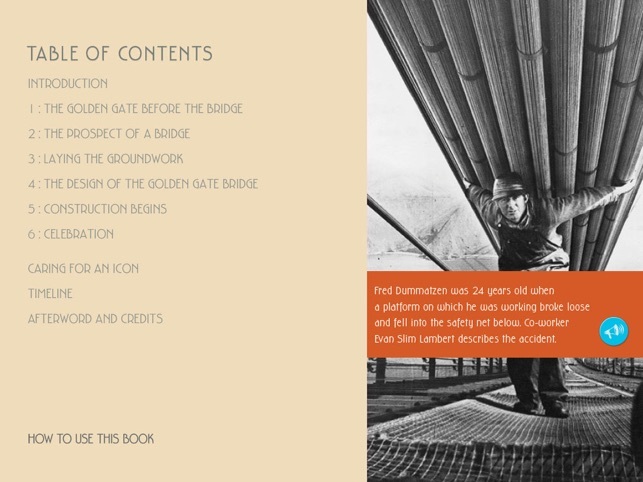 Readers can watch a short film of Joseph Strauss speaking to a reporter on the bridge during construction, examine the family scrapbook of Fred Dummatzen, one of the workers who tragically lost his life when a scaffold collapsed, and even view some of the proposed bridge color schemes that were ultimately rejected. Published by The California Historical Society and produced by Sol Editions and Wild Blue Studios, this fascinating story of the construction of an icon was sponsored by United Healthcare. * A note about sound... some users have complained there was no sound, and the culprit may be the side "mute" switch. Music and such works fine with the switch flipped, but other sounds, like ours, will be turned off. So, be sure your side switch is flipped on, and the volume is up. If you still have trouble, be sure to let us know! Updated some photographs and text. Updated app for iOS 7. 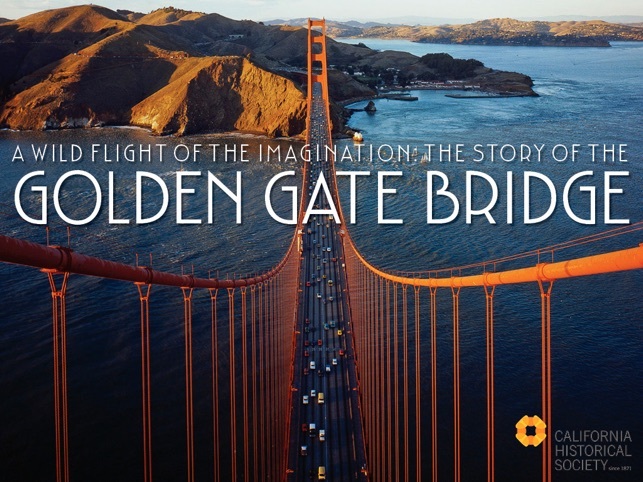 I attended in person the current exhibit on the Golden Gate Bridge at the California Historical Museum in San Francisco and this app makes my past visit come alive as if I were there looking at the photos and narrative stories inside the museum. This is high quality work with great photos and insightful stories on the building of our beloved icon. The photos, illustrations, sounds and songs just makes using my iPad just more fun since its so seamlessly integrated. May 27th marks the 75th anniversary of the Golden Gate Bridge . Happy Birthday Bridge! We love you. 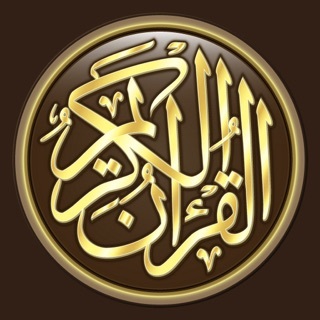 This app is amazing. I won't go on and on, but just say this is great example of the potential for both eBooks and the iPad. Thank you California Historical Society! 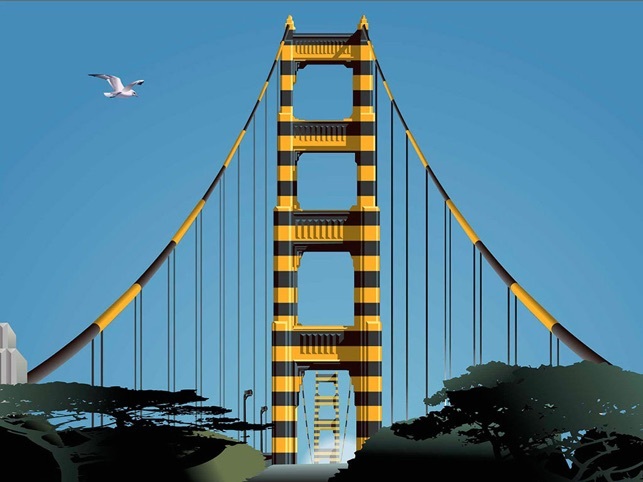 An app worthy of the Golden Gate's amazing heritage. This app presents a beautiful, vivid history of our favorite landmark. It's a great example of the iPad's use as an educational tool!